Scoops is the coolest place in town. This ice cream shop at the edge of Los Angeles City College is wildly original and totally natural. Its sorbets, gelatos and ice creams (some of them vegan) are made there, without any assist from commercial ice cream bases and flavorings. 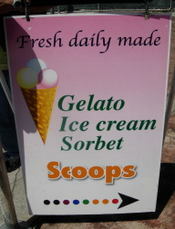 Scoops’ flavors are extraordinary. They’re not your everyday strawberry, chocolate and vanilla, but kiwi and Spanish vinegar, tamarind spiked with wasabi, black sesame combined with ginger, kumquat and basil, coconut speckled with tiny black basil seeds, green tea with banana, smoky tasting bacon caramel and many more. Yes, there is strawberry, but it is likely to be strawberry with balsamic vinegar or mascarpone, never the ordinary ice cream shop stuff. Don’t worry. There are plenty of choices not overly exotic, such as grape and peach sorbet, chocolate-orange, mocha with Oreos, almond tiramisu and blood orange blended with pineapple. Owner Kim Tai is an artist who went to culinary school to study ice cream. He loves a challenge, so he’ll make almost anything at a customer’s request, even kimchi ice cream, or fresh durian made with fruit that a customer brought from San Francisco, or creamy, delicate jackfruit ice cream, made with fresh jackfruit supplied by a Thai customer. What you see one day, you may never see again, except for a few favorites, such as brown bread, and that’s a good reason to go to Scoops often. 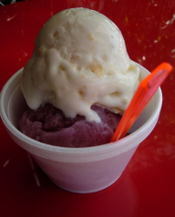 Scoops, 712 N. Heliotrope Drive, Los Angeles, CA 90029. Tel: (323) 906-2649. Open Monday through Saturday from noon to 10 p.m. Prices start at $2 for a cup that includes two flavors. The man ahead of me in the check-out line at Jons Marketplace unloaded so many packages of Hungarian sausages that I had to find out what he did with them. “You should cook them with black beans,” he said. “They add wonderful flavor. You can make soup, put in anything you like.” And that’s as much as I learned about his recipe. This particular Jons, on La Brea Avenue in West Hollywood, is a great source for ethnic foods. I’ve found more varieties of feta cheese there than I knew existed along with exotic spices such as mahleb and sumac, stuffed grape leaves, dark Ukrainian bread, Hungarian plum brandy and dried corn from Peru. The smoked sausages, labeled gyulai kolbazs, are piled on a counter along with slab bacon, Polish sausages, Russian salami, braided Armenian string cheese and many other things. Manufactured by Bende & Son Salami Company of Vernon Hills, Ill., a firm that specializes in Hungarian meats and imports, they’re made of pork. As you might guess, given their Hungarian ancestry, the second ingredient is paprika. My curiosity was so piqued that I bought a package and set to work. With nothing to go on, I tried out seasonings that blend well with black beans, such as tomatoes, cumin, onion and garlic and added a single dried chile along with the sliced sausages. This made a rather spicy dish, because I the sausages I bought were hot. There’s a mild version too. The aroma as the beans simmered was wonderful, drifting out the kitchen window to the sidewalk and attracting favorable glances from passersby. But the appearance needed help. A pot of black beans looks just plain black or, in this case, reddish brown. The beans cried out for color and a kick from something bright and fresh. And so I made a fresh tomato salsa, similar to a Mexican salsa, but without chiles---the soup was spicy enough. Instead of a squeeze of lime, I stirred in white balsamic vinegar, which is light and tangy, not sweet and heavy like aged balsamic. It was a delicious salsa, perfect to spoon into the zesty soup, which I served with a salad, chunks of hot artisan bread and a red wine. If I hadn’t gone to Jons the day that man loaded up on Hungarian sausages, I would have missed out on a really great dish. Pick over the dried beans to eliminate any stones. Place in a large bowl and cover generously with cold water. Let stand overnight. The next day, drain the beans and rinse well. Place them in a Dutch oven and add the 6 cups water. Cut the sausage into ½-inch slices and add to the pot. Add the onion, whole garlic cloves, tomato puree, the chile (first removing the stem and seeds), the peppercorns, cumin seeds and bay leaf. Bring to a boil, reduce the heat, cover and simmer for 2 hours. Add the salt, cover and continue cooking 2 hours longer, adding more water if too much boils away. Serve in large bowls with Fresh Tomato Salsa on the side to spoon into the soup as desired. Place the garlic in a sturdy bowl. Sprinkle with the salt and crush to form a paste, using a heavy pestle or other kitchen implement. Add the tomatoes and crush. Add the onions and cilantro and crush. Stir in the vinegar. 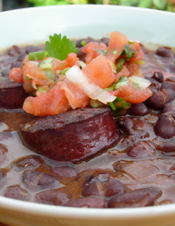 Serve with Hungarian Sausage and Black Bean Soup. Jons Marketplace, 1234 N. La Brea Ave., West Hollywood, CA 90038. Tel: (323) 962-2429. At last, ethnic food reporting has risen to Pulitzer level. Its ascent is due to Jonathan Gold, who writes the Counter Intelligence restaurant reviews for LA Weekly. Gold has been awarded the 2007 Pulitzer Prize for criticism. He is the first food critic to be so honored. Even more surprising, Gold is not an elitist who praises rare delicacies in elegant prose, as would seem fitting for such a distinguished award. 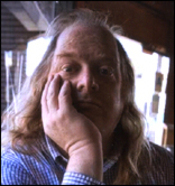 Gold’s reviews are peppered with words such as “funk” and “stinky,” and he writes mostly of low-down ethnic restaurants where the beautiful people fear to venture. No one can rival Gold as an observer of the ethnic food scene in Los Angeles. His Counter Intelligence reviews have an enormous following. The writing is wildly colorful, entertaining and well-informed. An “erudite eater,” the Pulitzer Board called him. From now on, a Gold review will confer status upon even the humblest street stand. Those critics who strive to impress with their taste for expensive, esoteric food must be stomping on sour grapes. Gold has only to write about fabulously funky brain tacos to outclass them all. Tequila sales are bound to rise now that the Mexican telenovela “Destilando Amor” (Distilling Love) is showing in the United States. What better publicity could a beverage have than to play a lead role in a romantic story with compelling stars and scenery that is just as compelling—the agave plantations outside the town of Tequila in the state of Jalisco. Magnificent stands of blue agave stretch to the horizon as Mexican actress Angelica Rivera, portraying a pretty jimadora (agave harvester), hacks out agave hearts that will yield the juices distilled to make tequila. It’s not long before handsome Rodrigo Montalvo (Eduardo Yanez), heir to the tequila empire of the Montalvo family, spots her, and their turbulent love story begins. The protagonists down shots of tequila in the fields, in cantinas, cafes, and in the luxurious Montalvo hacienda. Such glamorization put tequila on the map in the first place. Once looked down on as a low-brow beverage, it picked up status after beloved film stars of the past appeared drinking it on screen. “Destilando Amor” is in Spanish only. It’s worth a look if only to appreciate the magnificent scenery and taste, vicariously, the Montalvo family’s premium tequila. In Los Angeles, “Destilando Amor” shows on Channel 34 (Univision) Monday through Friday at 9 p.m.
Chilean cuisine is little known outside the country, and for good reason. Only there is it possible to appreciate the freshness of the produce, the variety of seafood harvested from a long coast, the regional specialties and the excellent wines. 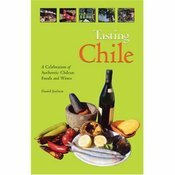 If a trip isn’t in the offing, the best alternative is to read Daniel Joelson’s book, “Tasting Chile” (Hippocrene, 2004). It’s packed with information about food, restaurants, customs and history, making it a travel guide as well as a cookbook. Married to a Chilean, Joelson has traveled up and down the long skinny country. To find traditional recipes, he sought out home cooks and small restaurants in out of the way places, avoiding Santiago’s international cuisine. The recipes that I’ve tried were delicious, and unusual. I’ve never seen anything like his salad of tuna and giant white corn, a variety that grows in northern Chile. 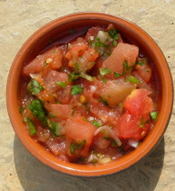 There are recipes for pebre, the spicy tomato salsa that is on every Chilean table; for empanadas, which are as well-liked in Chile as in Argentina; for cazuela, which is a meat and vegetable stew that originated in Spain; for pastel de choclo, the corn-topped meat pie that is also popular in Peru, and many other dishes. Wine suggestions accompany the recipes, and the book ends with a chapter that provides contact information for Chilean wineries. I learned about “Tasting Chile” after a trip to Santiago, and it has become one of my favorites. I like the warm way Joelson writes and the intriguing bits of local color that accompany the recipes. Joelson has also written “Chilenismos” (Hippocrene 2004), a dictionary and phrasebook that focuses on Chile’s unique Spanish. The cuisine has its own terminology, and this is explained in “Tasting Chile.” Malaya is a cut of beef, for example, not the Malay peninsula. And pino isn’t a pine tree. It’s the most common filling for empanadas—ground beef, onions and olives. Remove the vegetables from the pot. Add the remaining 1 tablespoon oil and heat over medium high heat. Add the beef and salt to taste. Brown the meat on all sides and cook until any liquid evaporates. 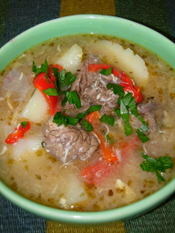 Return the vegetables to the pot and add the water, potatoes, oregano, hot chile and bouillon cube. Cover and bring to a boil over high heat. Reduce the heat and simmer, covered, for about 25 minutes, or until the potatoes are tender. Adjust the flavor by adding additional salt and hot pepper. Just before removing the soup from the heat, add the eggs and mix thoroughly. Sprinkle the parsley over the soup and serve at once. If using dried giant white corn, it must be soaked overnight. If using precooked nixtamal, it does not need to be soaked. Boil the soaked corn in 6 cups water with the beef bone, adding water when necessary to fully submerge the corn. When the kernels are tender and begin to break open, after about 1 hour and 15 minutes, strain and discard the bone. Nixtamal will be tender in about 1 hour. Combine the drained hot corn with the green onions and tuna, including its oil. Mix in the parsley, lemon juice and salt to taste. Chill, then serve. I never order tofu, because I don’t like it. Then, by chance, I tasted tofu masala at Holy Cow, the new Indian restaurant on West 3rd Street cattycorner to the Beverly Center. And I have to admit, it’s a wonderful dish. Soft and delicate, tofu is the perfect foil for a sauce that is as brilliant in flavor as it is in color. It’s the same tomato sauce used for chicken tikka masala, seasoned with onions, garlic, ginger and roasted fenugreek leaves, except that garam masala, considered too heavy for tofu, is left out. Cream makes the sauce unctuous and rich, but there’s a cream-free version for vegans, who can eat comfortably at this restaurant. Ghee (Indian clarified butter) is not used in any dishes. Holy Cow is small and spartan, like a fast food outlet, but the cooking is serious. Its sister restaurant is Surya, a few blocks east on 3rd street. The main kitchen is there, and Surya curries are sent over to Holy Cow, where they are served on plastic plates with plastic cutlery. Prices are modest. Nothing on the menu is over $9.95 (tandoori shrimp), and a few things are just $3.95. Lunch specials are $6.95 to $8.95 and include a vegetable, rice and naan bread. Along with vegetarian dishes, there are several lamb and chicken curries. Tofu masala is one of the Holy Cow originals not available at Surya. Another is kulcha channa, or spiced garbanzo beans in tomato sauce accompanied by a balloon-like fried bread speckled with black kalonji seeds. Whether you’re a vegetarian or not, it’s a fine combination. A third is papri chat, a delicious cold salad of garbanzos, potatoes and chips dressed with mint chutney, tamarind sauce and yogurt and decorated with strands of fresh ginger. In this dish, Holy Cow takes a shortcut, substituting fried flour tortilla strips for small crisp pooris. But the results are so good that this can be forgiven. Holy Cow, 8474 W. 3rd Street, Los Angeles. Tel: (323) 852-8900. 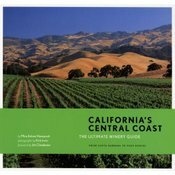 Open Monday through Friday from 11:30 a.m. to 3 p.m. and 5 to 9 p.m. Saturday and Sunday, from 5 to 9 p.m.
It’s a pleasure to read “California’s Central Coast, The Ultimate Winery Guide” by Mira Advani Honeycutt (Chronicle Books, 2007; $22.95). Honeycutt is not only knowledgeable but writes with such passion that you want to pack up and go touring in her footsteps. Definitions of terms such as tannins, terroir and veraison blend smoothly into passages that capture the romance and beauty of the wine country. A brief section on vineyard operations outlines how wine grapes are grown, harvested and processed. This provides an intelligent base for the fun part of wine touring, which Honeycutt promotes with tips on which wineries have the best tours, most elaborate tasting rooms, the best picnic settings, prettiest gardens and so forth. The publisher’s format limited the book to 30 wineries, but these are sufficient to convey the pioneering enthusiasm and serious work that have garnered acclaim for Central Coast winemakers. Additional wineries are listed in a directory to make the book a complete guide. The areas covered are the Santa Ynez and Santa Maria Valleys in Santa Barbara County and, in San Luis Obispo County, Paso Robles and the Arroyo Grande and Edna Valleys. Advani lives in Los Angeles, close enough to commute, so she knows the region well. In a foreward, Jim Clendenen, the iconic winemaker of Au Bon Climat, traces the history of the Central Coast. Photographs by area resident Kirk Irwin are stunning. Along with each winery description, Honeycutt provides driving directions, phone numbers, hours, picnic possibilities, tasting fees and the wines typically offered for tasting. But there is more than wine in this book. Honeycutt explores towns and hamlets such as Santa Ynez and Ballard, suggests farmers markets to visit and artisanal food products to buy. The book is loaded with dining advice too, even where to get a great wood-fired pizza at the end of a hard day’s wine touring (hint: it’s in Los Alamos).